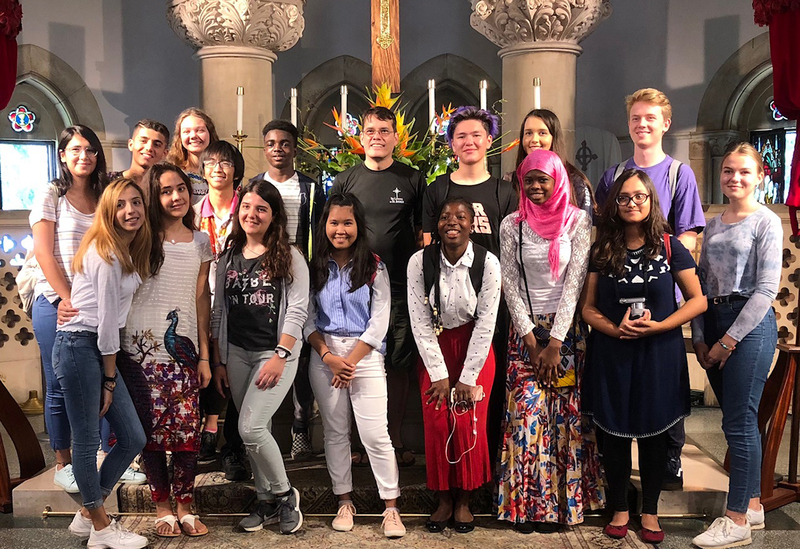 Founded in 1976, the International Hospitality Center (IHC) is a private, community-based, volunteer organization that provides a variety of cross-cultural experiences, homestays, English language study and professional training to sponsored exchange students and government and foundation grantees. 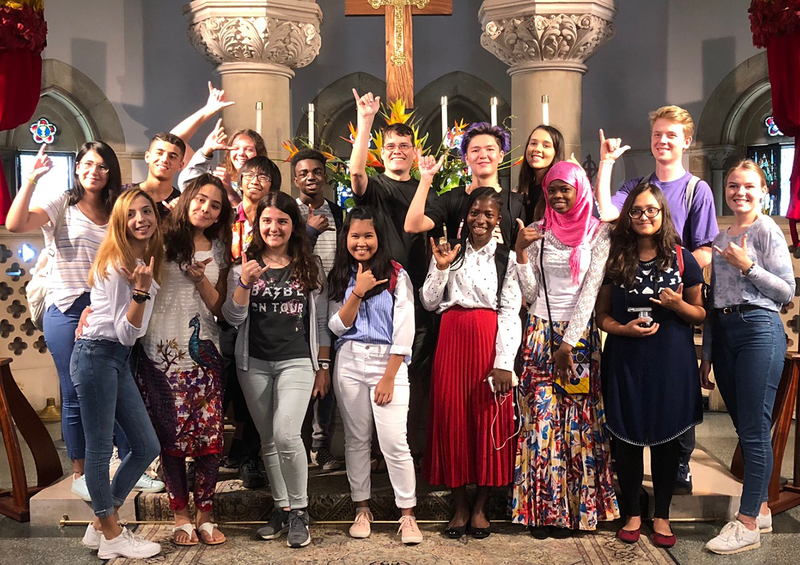 The students spend a year at various schools around the State of Hawai’i, and come from places like the Ukraine, Georgia, Lithuania, Nigeria and Malaysia. 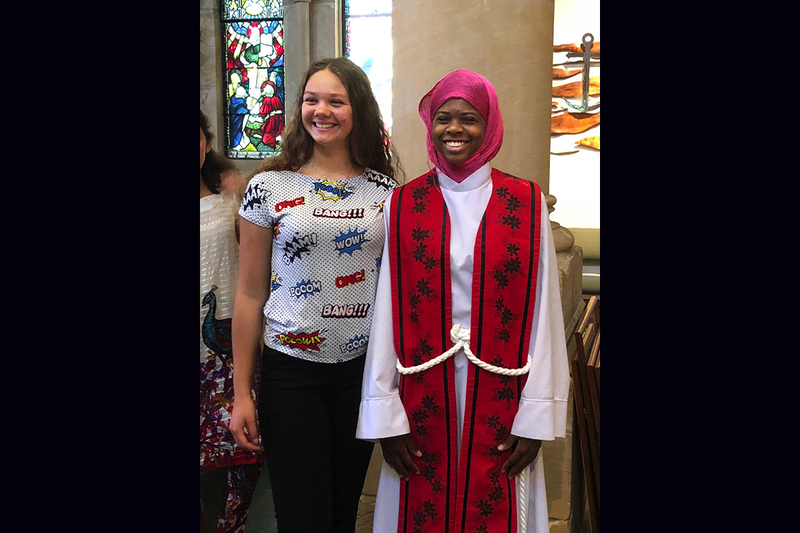 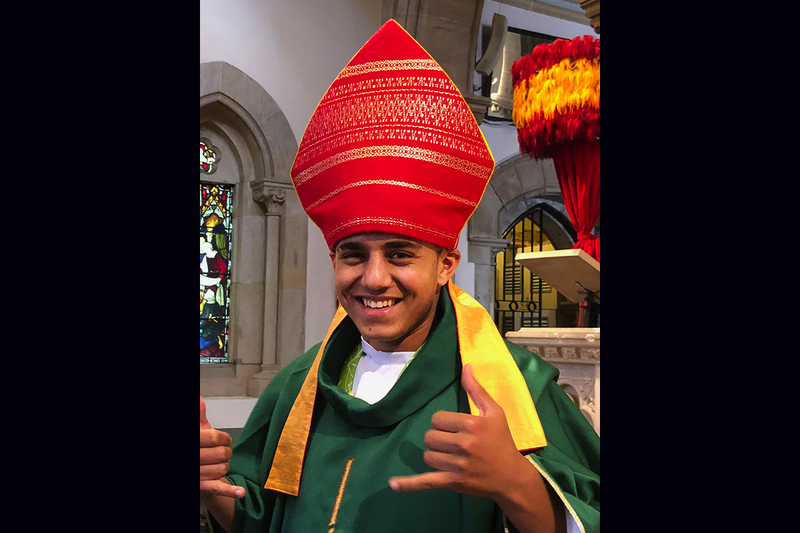 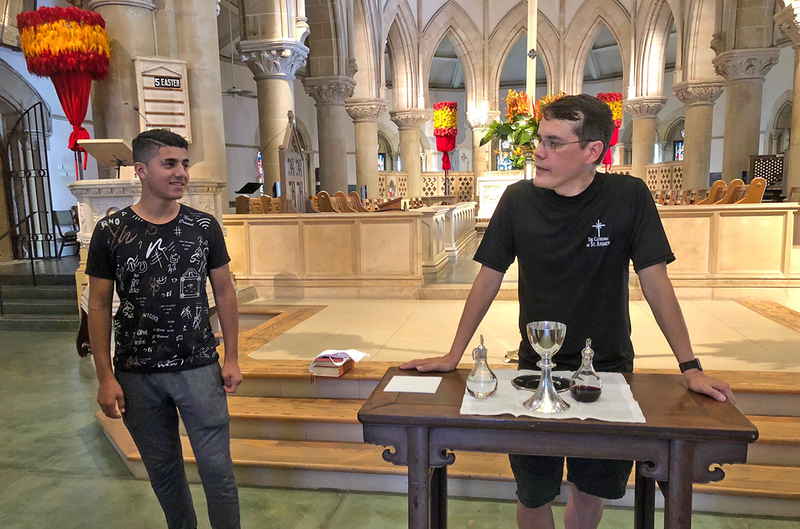 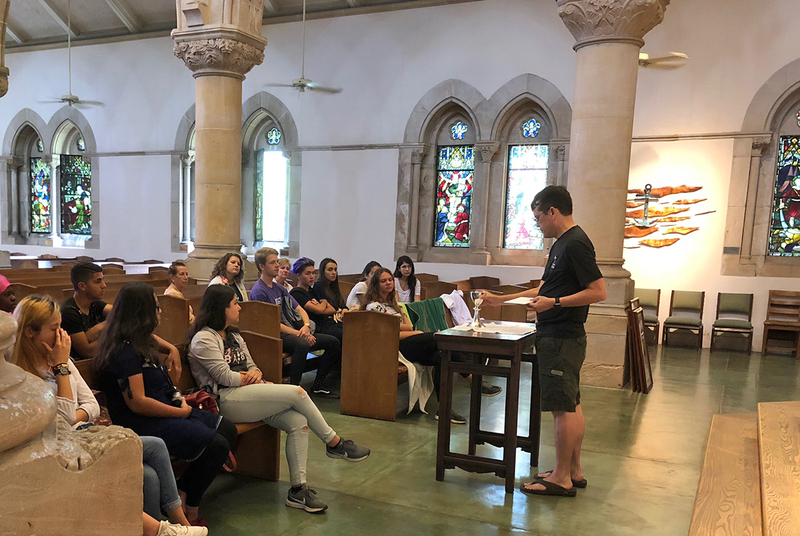 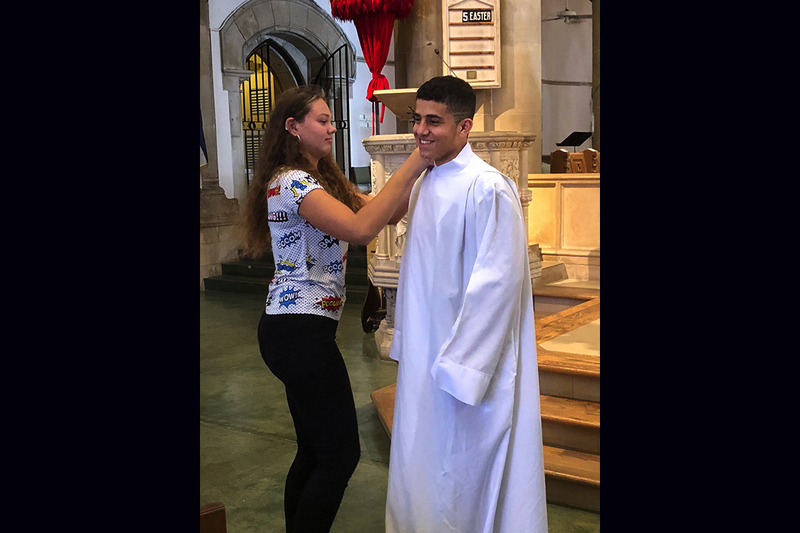 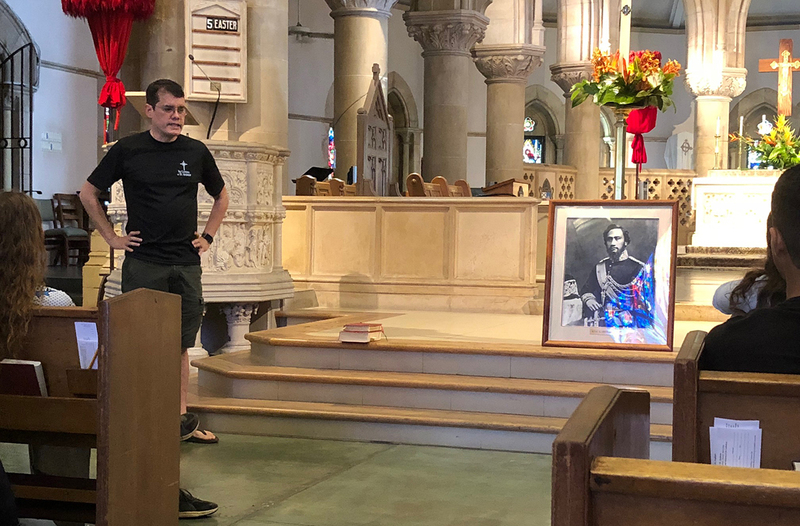 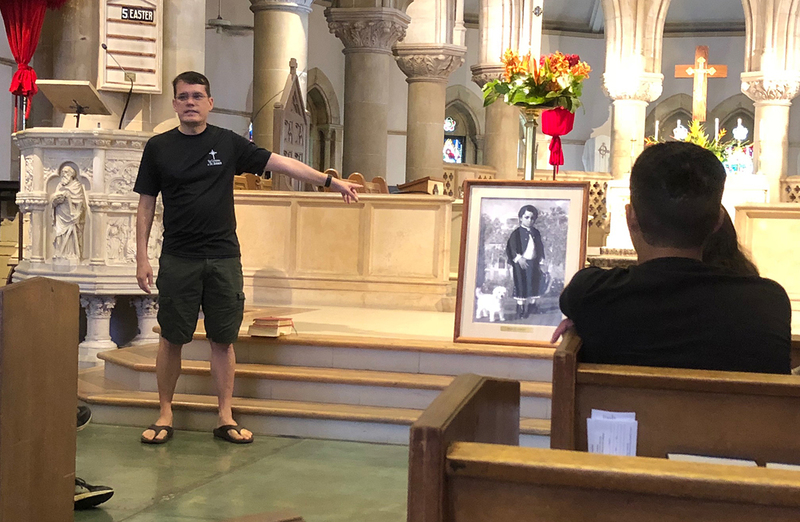 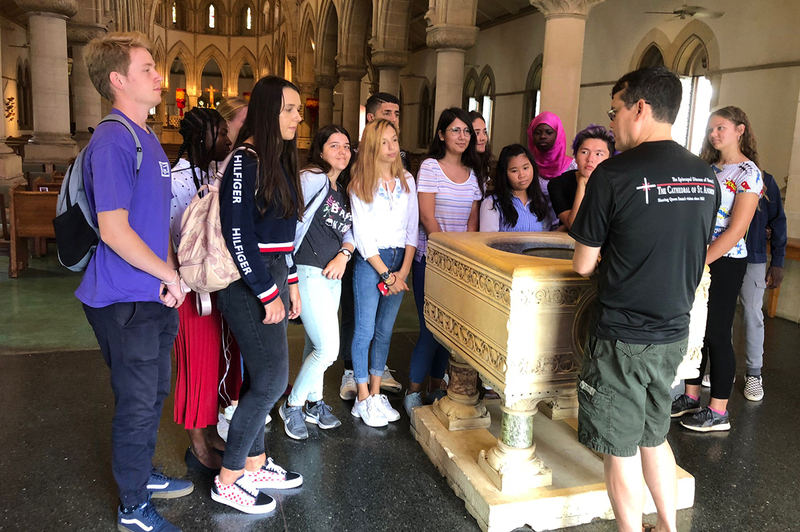 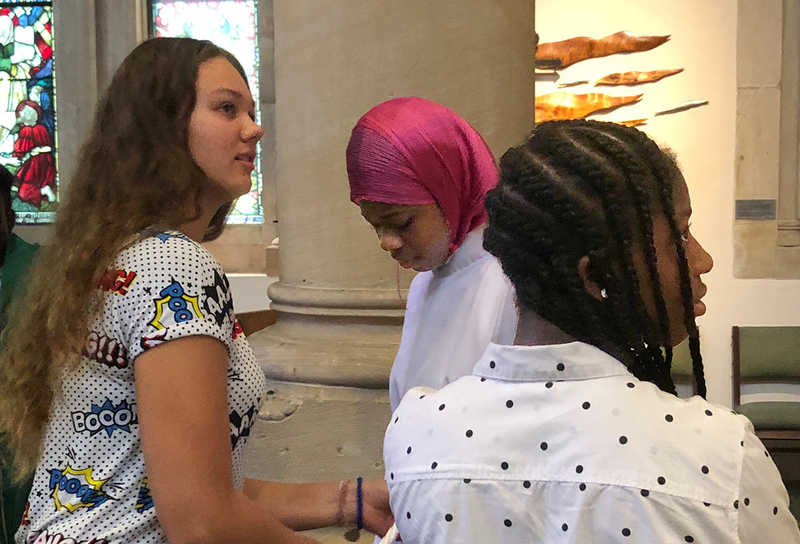 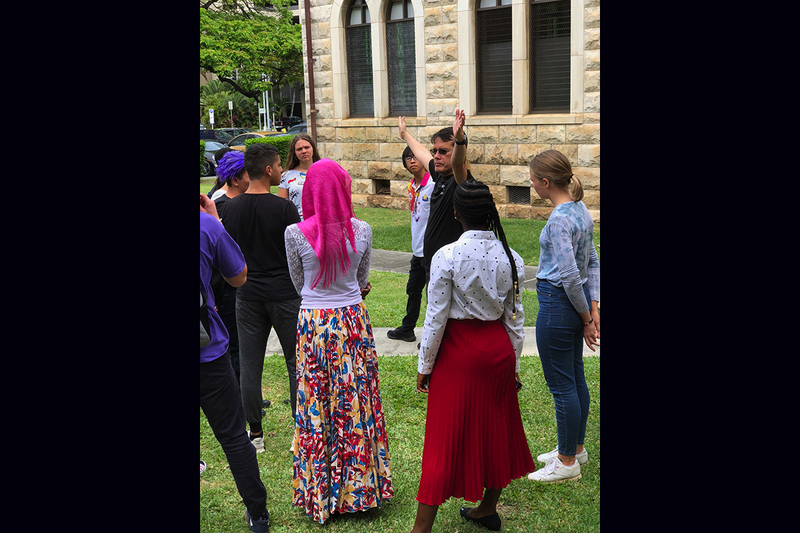 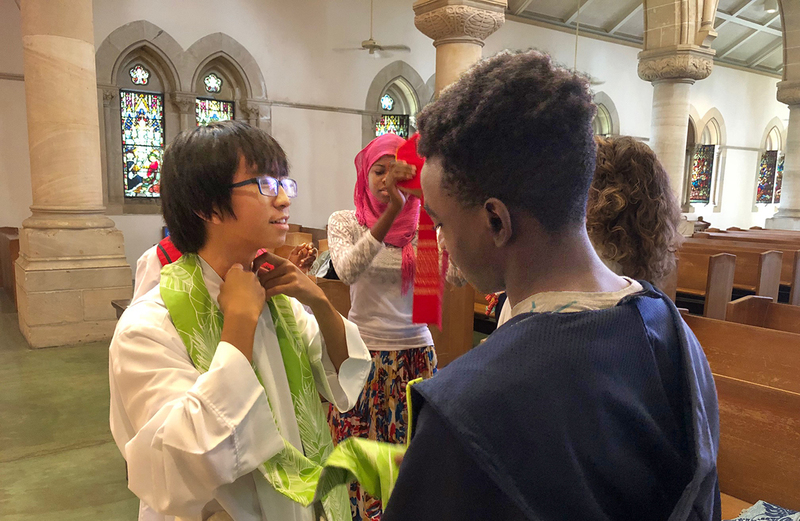 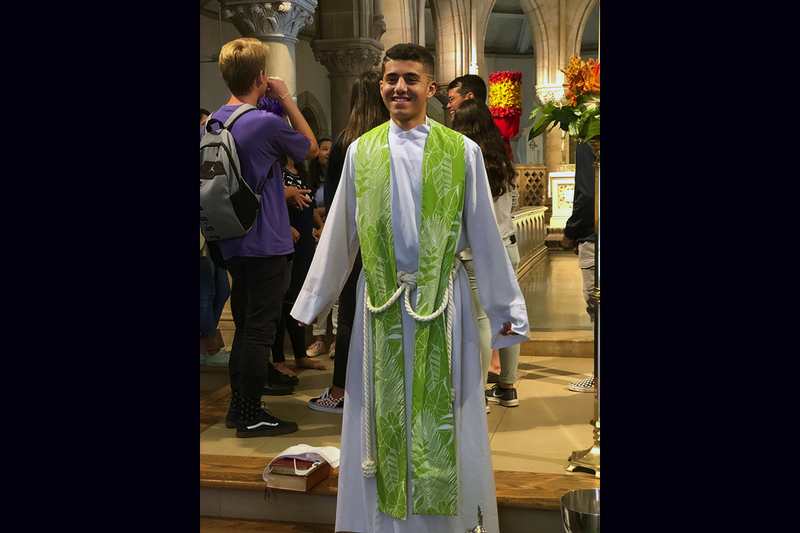 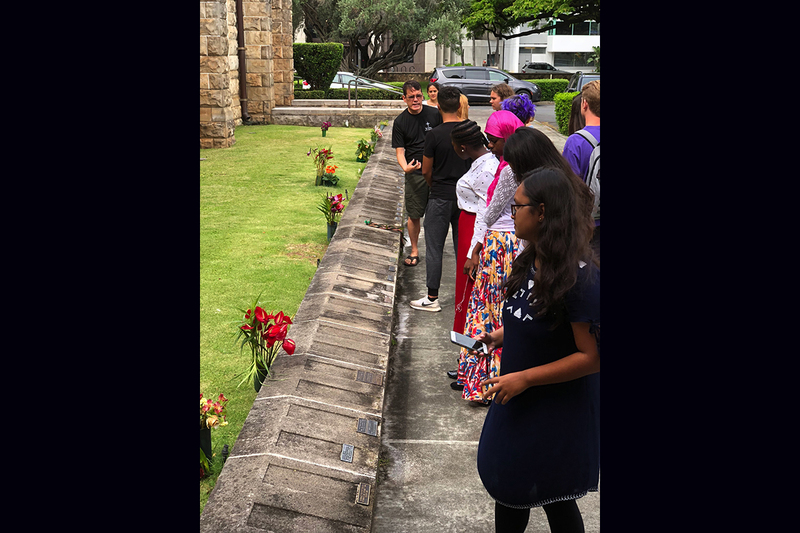 Each year the IHC (housed in the offices of St. Andrew’s Schools) takes its students on a daylong field trip to worship sites of different faiths in Honolulu. 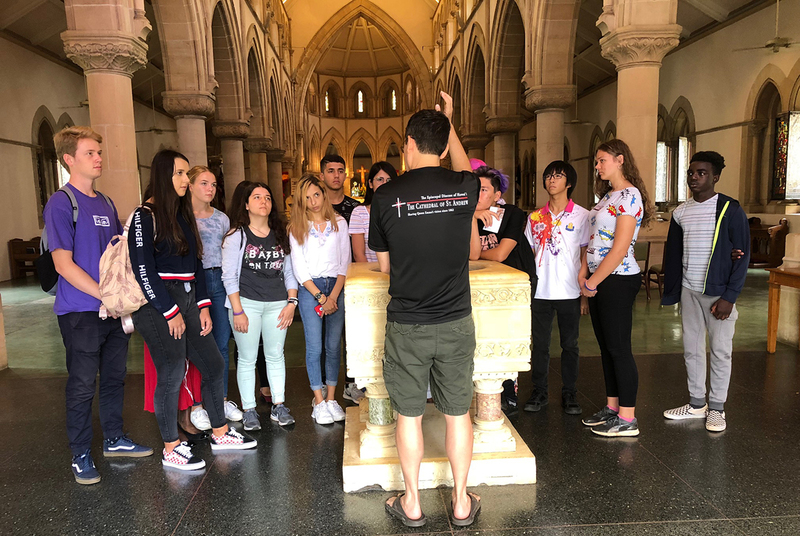 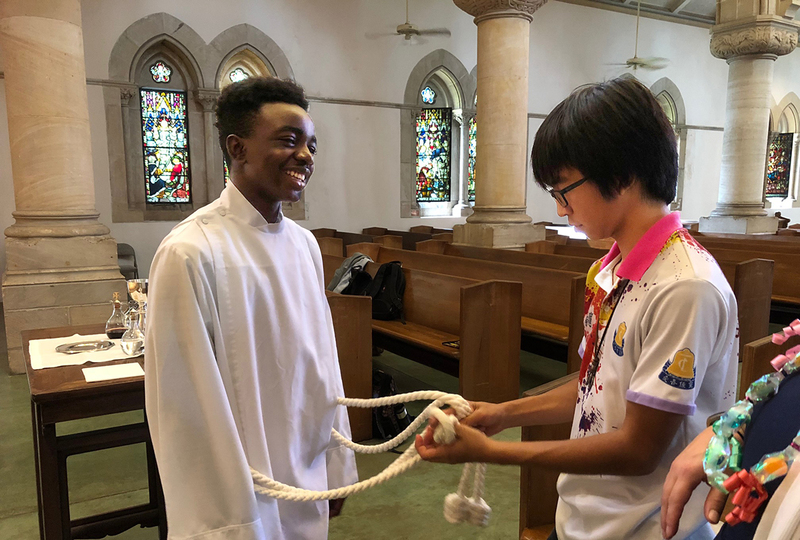 The tour usually begins at the Cathedral of St. Andrew, where the students learn about the history of the Cathedral and the Episcopal Church. 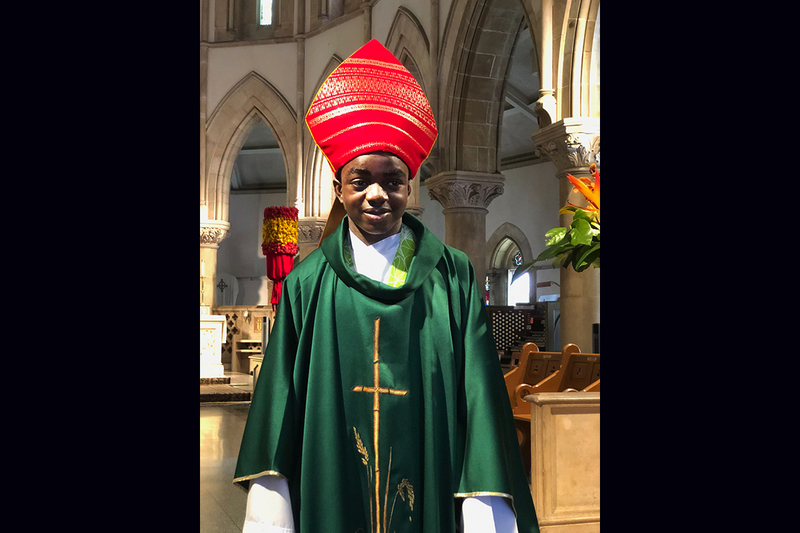 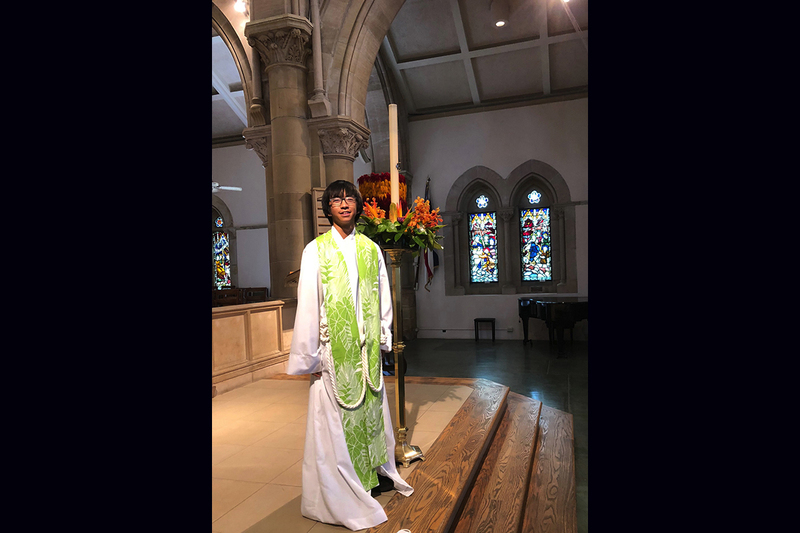 On May 3, 2018, Fr. 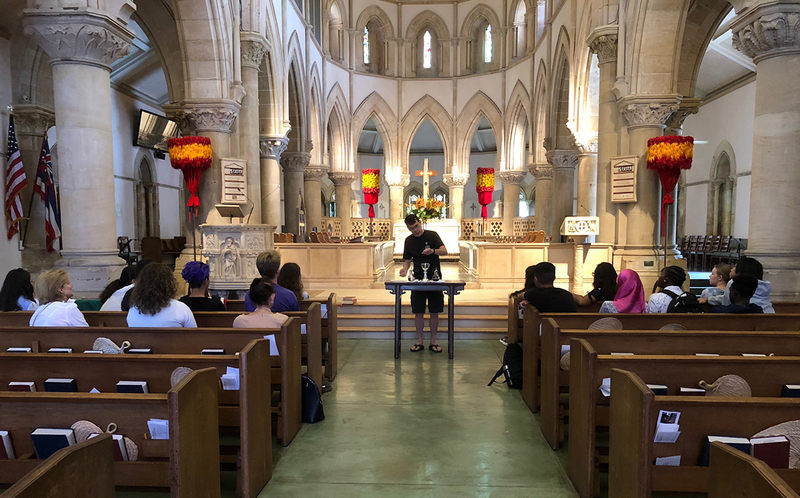 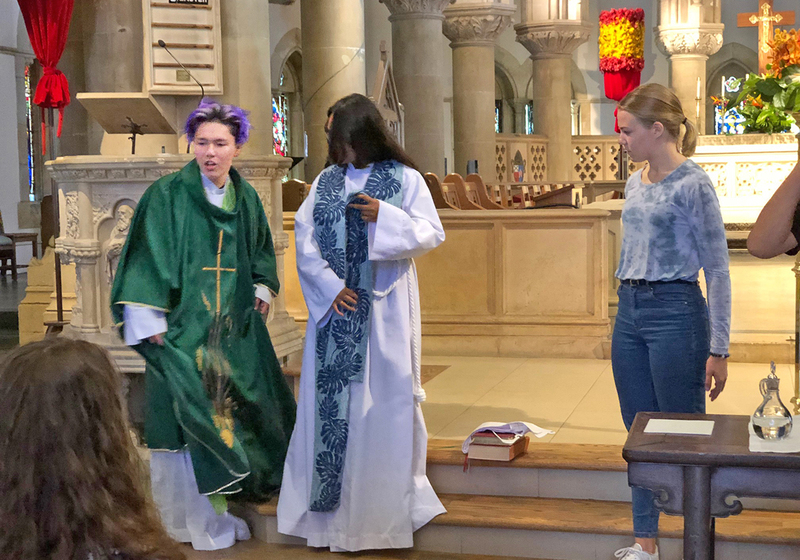 Moki hosted students from the IHC at the Cathedral. 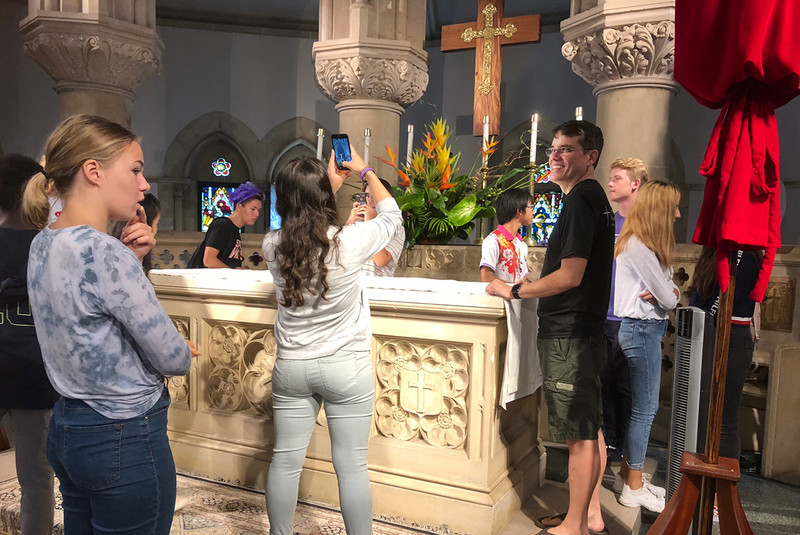 Being with the students from the International Hospitality Center is one of my favorite days of the year at the Cathedral. 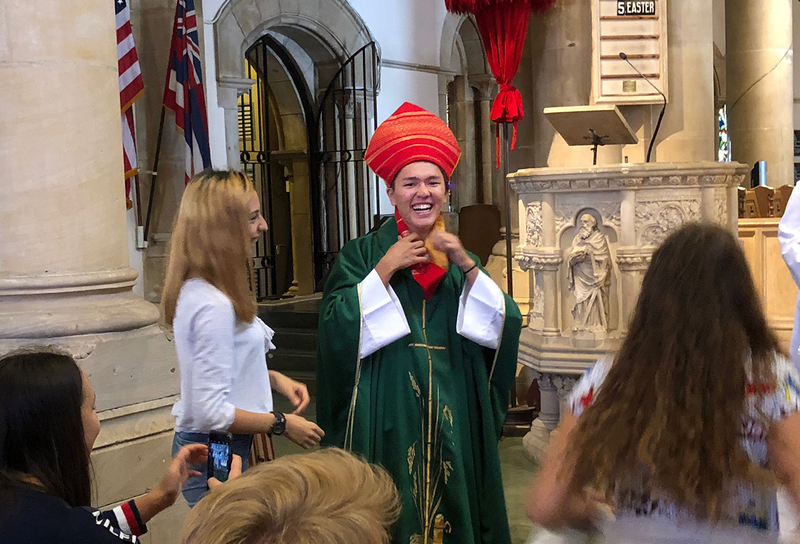 I get to share the church with high school students from all over the world and from many different faith traditions. 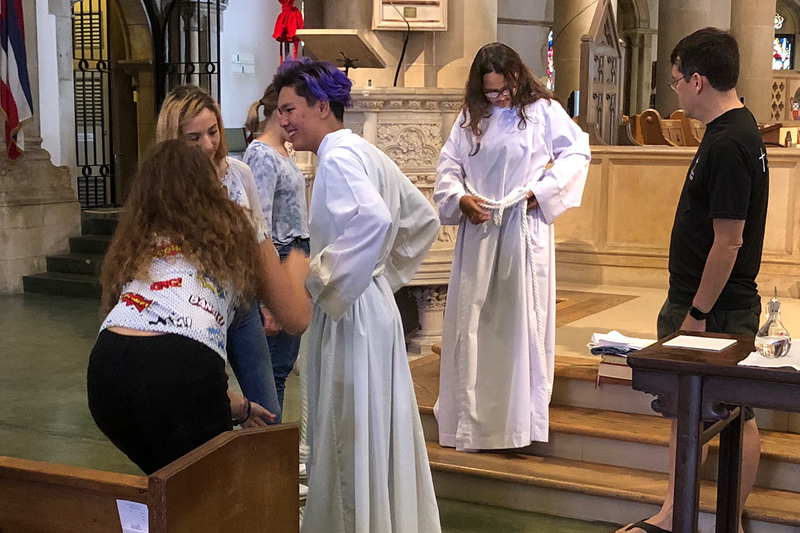 They love trying on the priestly vestments. 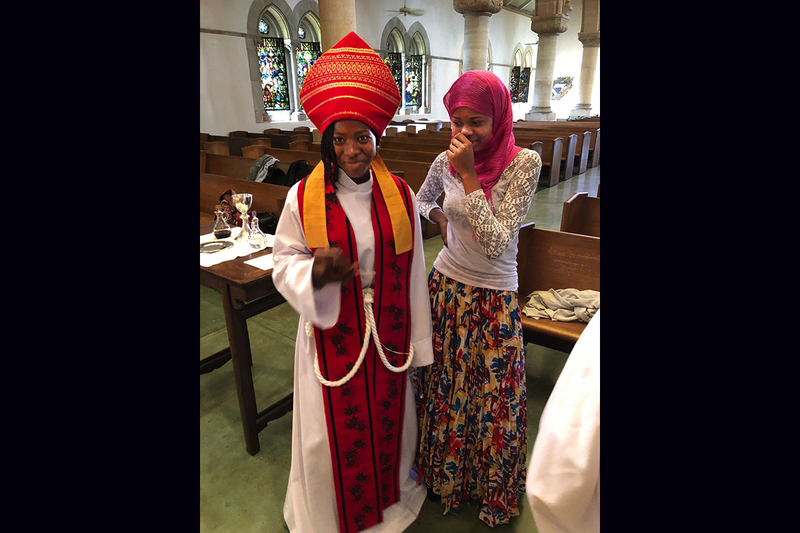 It warms my heart.